My grandparents came from Eastern Europe. Jews who escaped discrimination, but who got out long before the Nazis sought to change the face of Europe. Does that make them somehow special, “survivors?” And what about my beloved godmother who came from Stuttgart, Germany, her family literally leaving on the last train out before the gates closed. She wrote a small monograph, A Survivor’s Story, detailing the slights and more significant affronts that led to her family’s departure. Was she a “survivor” that set her apart, made her part of a special club? 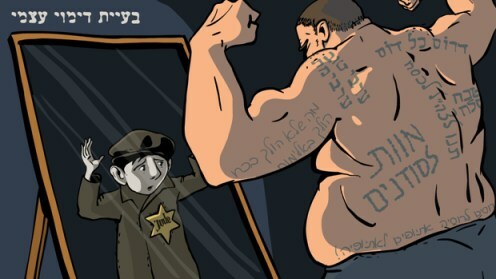 Many Jews regard themselves as members of a special tribe of victims who have somehow overcome victimhood, not only to “survive,” but to become a nation, Israel, to be reckoned with in the world. That view, however, is hard to reconcile with Israel’s depredations in Gaza and ongoing encroachments in the West Bank. Who is the survivor? Who is the victim? Does Palestinian intransigence and resistance justify Israeli policies that create more victims? It seems not, though the so-called holocaust industry does everything in its power to support that view. Most frequently and passionately, he would reprimand me for taking the Holocaust to be about me, or about my family. The Holocaust was about humanity. It was about what we are capable of doing to one another. It could happen again, it could happen here. The Holocaust was about everyone. Helping to prevent such events from occurring required agency and good moral sense, and good moral sense was not consistent with preferring one’s own people. Well, said. The single greatest “crime against humanity” is “tribalism” (which is today called “nationalism”). I would like to believe we human beings have it within us to transcend nationalism (i.e., collective group selfishness) but, at least at the moment, the prospects are not promising. But we can try. . . These are excellent points you have made above on this most contentious of historical narratives. I recently penned a feature length article (see link above), dealing with some of the issues you have raised and a few other related matters. With that in mind, I thought I’d share the following. For those folks who may not be convinced of such arguments or might like to inform themselves better in this regard, I recommend they watch the following video presentations. In addition to providing us all a more realistic understanding of the reality of Israel’s role in the Middle East, more particularly, they are both timely, powerful and valid arguments for Israel to be called to account by the international community — especially so for its actions, conduct and behaviour in Palestine — in much the same way that the former South African government was over its apartheid policies. Just as significantly, it serves as a no-punches-pulled indictment on the venality, irresponsibility and double standards of the corporate media establishment in the U.S., especially in the way it unfailingly caters to special-interest groups at the expense of truth, balance, and integrity in their reporting of the Big Issues (see second link below). And to be sure, of all the “Big Issues”, they don’t come much bigger than the Palestine-Israeli conflict, and of all the so-called “special-interest groups”, few come much more “special” than the Israel Lobby. To:Greg Maybury.. Greg. I must disagree with this statement you made in your response. Yes, Israel is a problem but in my opinion mainly because of their undue influence on our domestic and foreign policy. The real troublemaker in the middle east and beyond is Saudi Arabia, the beheading kingdom. Our addiction to oil and the devils deal that both of our political parties have cut with the Saudis has retarded our investment in alternate energy ( wind, solar, etc. )and allowed them to infect not only the middle east but the Eurasian continent with their extremist Wahabi version of Islam. Throughout this area they are spending petro dollars on establishing madrasas that mind train young Moslems in Jihadism and financially supporting the very extremist groups like IS, the Nusra front, etc. Many thanks for your response. I don’t disagree with you on the subject of the “troublemaking” Saudis, and you have made some valuable and legitimate observations. It is important to stress though that I did say Israel was the “main driver”, not the only one. Moreover, this statement was made in reference to my own linked article. It was not within the scope or purview of my piece to include discussion of the Saudis. I’m not sure if you indeed read my piece, if so then fine. If not then I can only recommend you do. Either way I think you will be hard pressed to “disagree” with the basic premise of this piece as I’ve outlined, even if it doesn’t enlighten you on things you don’t already know. That said, I could quite easily devote a separate article to the topic of the Saudis, so your suggestions and feedback in one sense have had the desired effect. In short, I may actually consider that, and it’s a meaty subject to be sure. That said though, there are important differences between the role that the Saudis play, and that of Israel. I will decline any further discussion herein of that at this point, if only to save it for that future piece. Once again, thanks for the feedback. Much obliged as it were. Saudis who is the’ main driver’ of our disastrous foreign policy. I tend to go for the chicken side since OIL is a real tangible motivator and that leads directly to Saudi Arabia. Israel doesn’t have the “reach” that OIL does. Israel first became a place where Europe could dump its Jews after WW II. They also looked at a European Jewish state plunked down in the middle of a bunch of hot headed, backward Arab regimes as a stabilizing force for the region. The article above by Lyle discusses how Israel has leveraged the ‘Holocaust’ meme to blackmail the West to support their expansionist plans. Of course the “Big Kahuna” , is the U.S. who is using both sympathy for Israel ( poor little state) and Saudi oil as the excuse for “full spectrum dominance of the world”. and of course we are making a mess of it..
You must remember how this middle eastern disaster started. We went into Saddam’s Iraq under both Bushes for the Saudis primarily. Not for Israel. You say: “You must remember how this middle eastern disaster started. We went into Saddam’s Iraq under both Bushes for the Saudis primarily. Not for Israel.” Au contraire mon ami. Read my article. Best, GM. Greg M. ..OK. I read your well written piece and agree wholeheartedly with its fundamental thesis that the US must cut Israel loose. In my opinion that alliance is bad for Israel , bad for the US, and bad for the Jews. Synchronicity! If two things happen in conjunction with each other it doesn’t necessarily meant that there is one source. You detail the “Clean Break” aim of some influential Israel Likudist policy wonks. Makes sense. I have read elsewhere the same allegation leveled against our policy Mid East goals. Does that mean they were acquired from Israel ? I really don’t know but it is such a crazy self destructive policy since the assumption that chaos wouldn’t result shows fantasy thinking. The current situation in Syria, Iraq, shows that the shattering of even repressive civil societys produces a chaos that threatens the stability of not only the neighboring states but Europe, Asia, the Sub continient , and the holy of holies , U.S.A.
After full consideration I understand your position that Israeli policy led us into the invasion. I still believe though that the Bush-Cheney people with very close ties to Saudi because of their direct involvement in the oil business saw this as a great opportunity to make the Israeli’s happy while stealing Iraq’s oil and stopping the paranoid threat the Saudis saw in Saddam. It was a “twofer’. G’Day Traven, Glad you liked it. As I said earlier, I’m not a big fan of the Saudis, but at this point I will keep my powder dry. I have few doubts they had a dab hand in the events of 9/11, and in this sense you’re right. They are also apparently in cahoots with many of the Zionistas in Tel Aviv in something of a joint venture in fomenting terrorism and mayhem. As well, the very fact that many Saudis were spirited out of the US in the aftermath of 9/11 including most if not all of OBL’s family contains within it the unmistakable odour of rodent. Good to touch bases with you. Thanks for your input. Best, GM. Something to really think about. Who are the victims? Are we all capable of doing what the Nazis did? You may have to read some of this twice to get his message. I had to. I have studied this animal, homo sapiens, for many decades. Greater minds have been studying it for thousands of years, of course, from the days of Classical Greek civilization through the European Enlightenment and up to more recent times. Mark Twain remains one of my favorite observers of our condition. I’m afraid I must report that the “average person” is indeed capable of stooping to the commission of atrocities on a daily basis when compelled to do so by the state. When the choice presented is “Serve the state [bearing arms against a foreign or domestic “enemy,” spying on one’s neighbors, or yes, being a guard in a concentration camp] or go to prison” (the latter with the distinct possibility of being tortured or executed), Average Joe will serve the state. Hannah Arendt pointed out that under Nazi rule, there was literally no such thing as an illegal order that could be disobeyed in an act of conscience. No matter how insane the program being imposed, you obeyed or likely died. Look at the conduct of the US military–serving a “democratic” state that “believes in the rights of man”–in Southeast Asia. The understanding by the Marines of their mission, as reported by the late Michael Herr in his book “Dispatches,” was “to kill go-ks, period.” So much for winning hearts and minds and instilling the spirit of democracy in the indigenous population. I will leave aside the phenomenon of individuals who genuinely relish engaging in such conduct. But I will pose the rhetorical question: How many thousands of people are still employed around the world in slaughterhouses? How quickly do they become accustomed to the cruelty their job requires? They either adjust or quit. I’m sure the quitters are a minority, as economic compulsion can be just about as strong as direct state compulsion. I must also report I haven’t found a magic bullet cure for the human condition. I am responsible for my own conduct in this world. My conscience compelled me to actively oppose the War in Southeast Asia from within the ranks of the US Army and of course that came with consequences. But my type is a very small minority indeed. To be perfectly honest, I don’t picture the human race as a whole becoming sufficiently enlightened to reform its conduct before the clock runs out on us. And that clock is ticking relentlessly, friends. Joe Rager.. In answer to your question YES! We are all capable of despicable acts whether under pressure or as acts of volition. A close friend of mine was in the infantry and captured by the Germans at Malmedy ( Battle of the Bulge).. Because he was Jewish he was sent to a concentration camp rather than a POW camp in contravention of the the Geneva conventions. Prisoners in this camp at Berga died at ten times the rate of POW camps. After torture he escaped as the allied armies started moving into Germany and reached the lines of the 11th Armored division. They were moving so fast they couldn’t tend to his medical needs but gave him a machine gun and told him to march a group of captured “Werewolves” *back to a holding area. They began to sing the Nazi “Horst Wessel” song and he shot them all. I had known Mike since childhood and he was always a same and thoughtful, gentle person. He ended up with a doctorate degree and as a professor and spent much time treating wounded veterans of our continuing wars. He told me this story when we got together after the war. * Werewolves were teen agers who were given guns and told to kill American ‘stragglers’. Would you have dropped “The Bomb” on Hiroshima or Nagasaki, had you been so ordered? In 1985, Noam Chomsky wrote an article on “The Bounds of Thinkable Thought.” Here’s an extract that deals with the Israeli-Palestinian issue. A few names have changed, but the dynamic is essentially the same. so? Surely of all the people in the region, they are among those who must be yearning the most for peace. But no journalist seems to have inquired into this strange paradox. The problem is easily solved. The “peace process,” as was evident at the time of the Camp David Accords and should be transparent in retrospect, was designed in such a way as to remove the major Arab military force, Egypt, from the conflict, so that Israel would be free to intensify settlement and repression in the conquered territories and to attack its northern neighbor. It is hardly a cause for wonder that the victims of the “peace process” overwhelmingly condemn and reject it. In this case, too, it would be salutary to overcome our mysterious collective amnesia about the facts of recent history. Anyone who troubles to review the diplomatic record will quickly learn that there have been possibilities for peace with a modicum of justice for about fifteen years, blocked in every instance by U.S.-Israeli rejectionism. In the early 1970s, this rejectionist stance was so extreme as to block even Arab initiatives (by Egypt and Jordan) to attain a general peace settlement that entirely ignored Palestinian rights. Since the i n t e r n a t i o n a l consensus shifted to adherence to a two-state settlement a decade ago, any such possibility has consistently been barred by the United States and Israel, which persist in rejecting any claim by the indigenous population to the rights that are accorded without question to the Jewish settlers who largely displaced them, including the right to national self – determination somewhere within their former home. Articulate American opinion lauds this stance, urging the Palestinians to accept the Labor Party program that denies them any national rights and regards them as having ” no role to play” in any settlement, as Labor dove Abba Eban has said. There is no protest here, or even mere reporting of the facts, when the U.S. Government blocks a U.N. peace initiative, stating that it will accept only negotiations “among the parties directly concerned with the Arab-Israeli dispute,” crucially excluding the Palestinians, who are not one of these parties. Analogous rejectionist attitudes on the part of Libya and the minority PLO Rejection Front are condemned here as racist and extremist; the quite comparable U.S.-Israeli stance, obviously racist in essence, is considered the soul of moderation. Walter.. I was an 21 year old kid in 1945 when the bombs were dropped and had been in the army almost three years. We all wanted to get out. I knew nothing about nuclear technology just as I knew nothing about “jet” technology until I was cross countrying in a Navy bomber and saw a plane with no propeller land at Lamberth field in St. Lois. It was the McDonnell “Bamshee” fighter . Neither the pilot now I could figure out how it flew. Wnen the bombs were dropped and we were told it was a “big” explosion and it ended the war we were delighted. In answer to your question. Today I know about jet planes and nuclear power. and I am opposed to all of our wars and all of our weapons and do what I can to oppose all the BS we get for that insanity of war. We had a great country before the war makers conned us into this perpetual war which has destroyed our educational system, jobs, etc. “Only the dead have seen the end of war,” therefore, it comes down how we decide for or against. The Framers of our constitution mandated affirmative decisions be in the form of a formal declaration. Of course, you know this. We all do. We should also know that our “Living Constitution” is as dead as the men who wrote it. Sad.